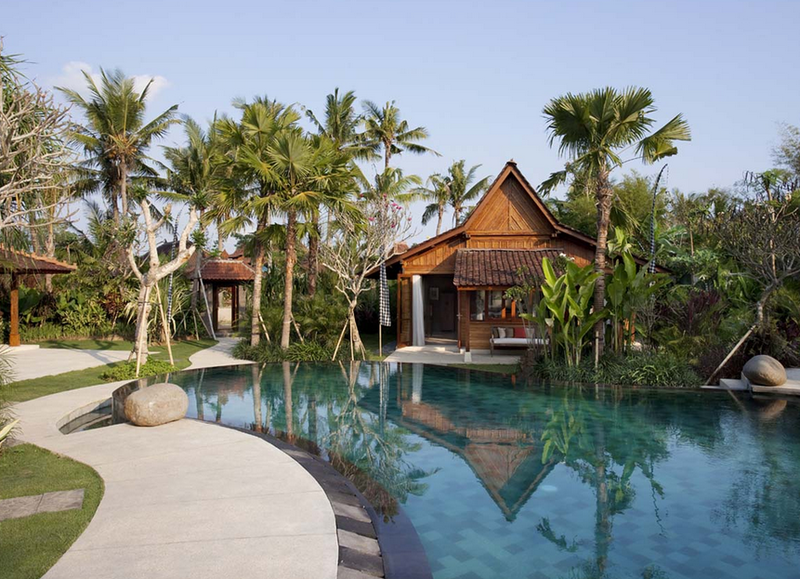 Villa Sati is located in one of the most paradisal islands in the world. 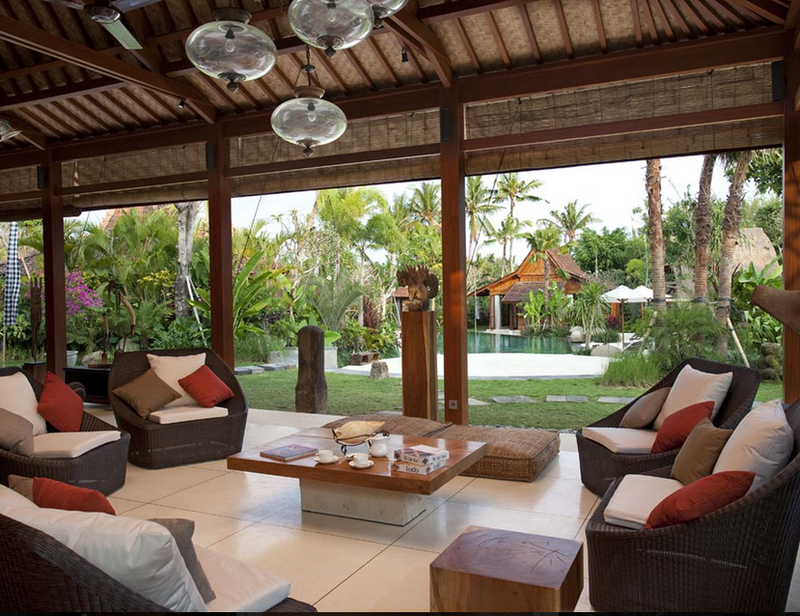 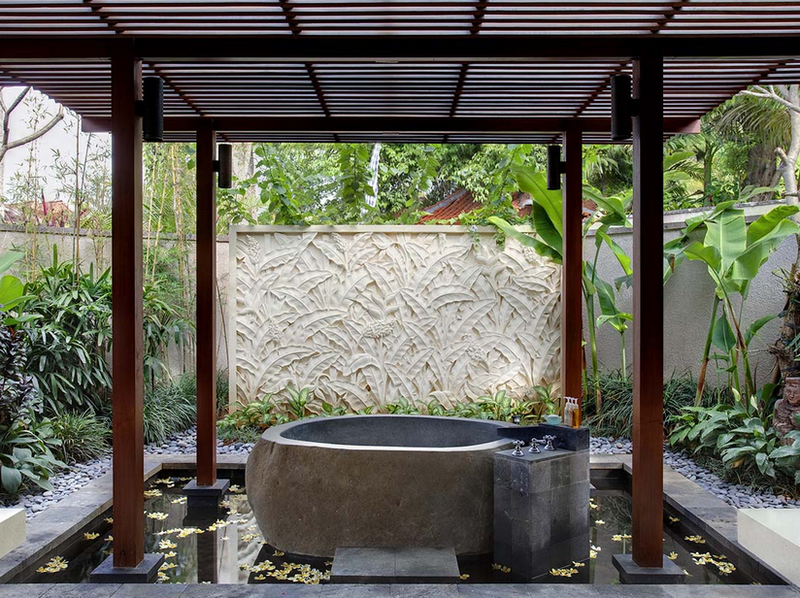 Villa Sati is one of five villas of the complex, giving guests a range of shared facilities that few Bali villas can offer. 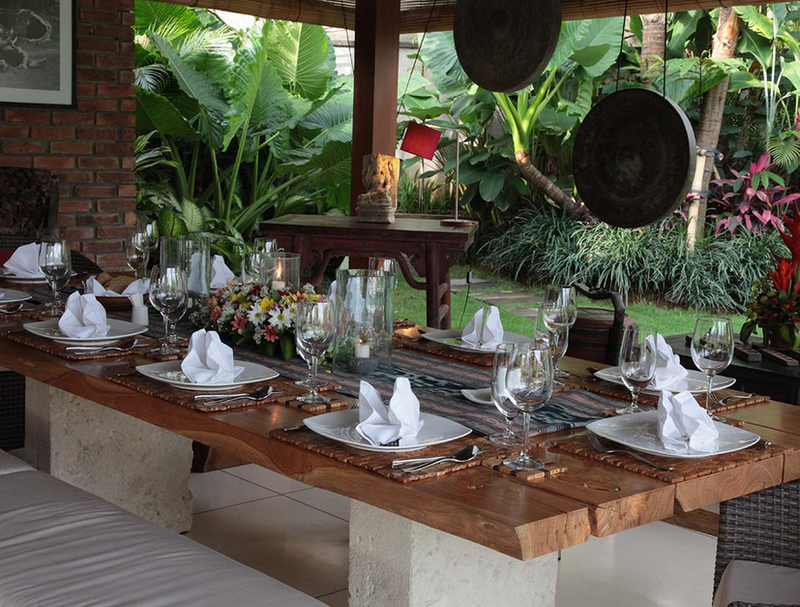 - seating area and three-metre dining table big enough for 14.
pavilion set in the gardens around the pool. 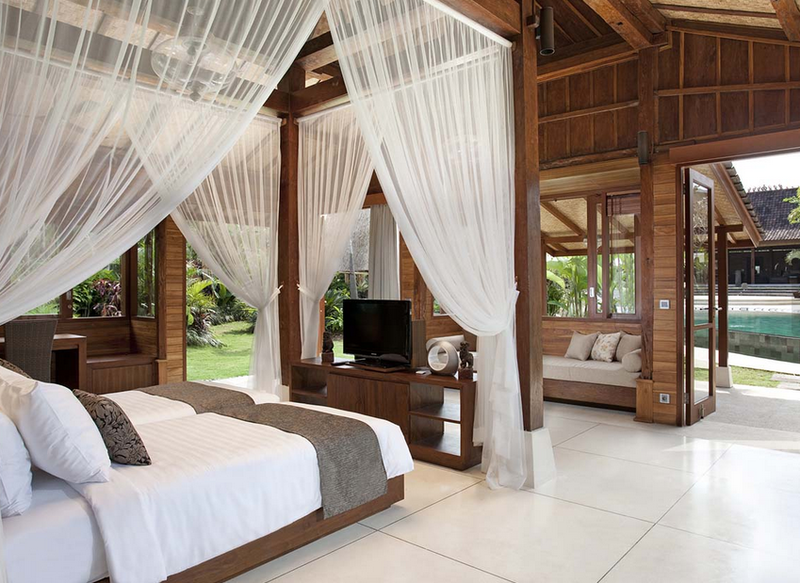 -twin beds that can be converted to a king in the fourth.